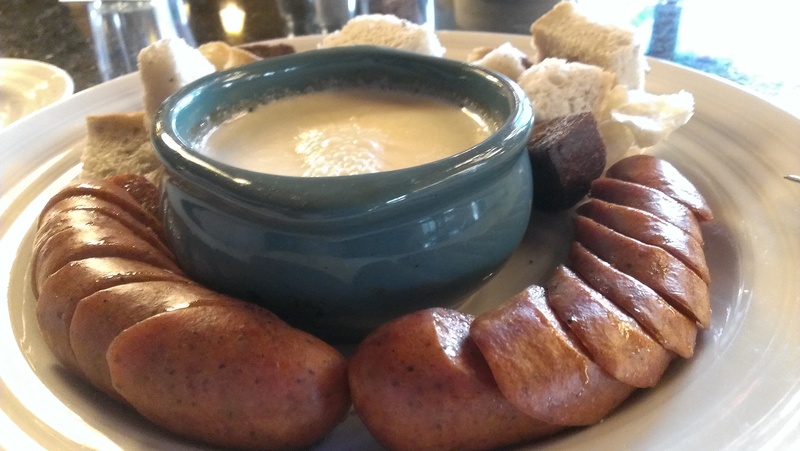 I’ll spear you the suspense and get right to the point: April 11th is National Cheese Fondue Day! I happen to agree. Fondue IS good and it DOES create a good mood. Tara and I met for lunch at Gustav’s, a German restaurant down the street, midway between where we both work. It doesn’t get more convenient than that. This is the second food holiday we have celebrated here; we also had the fondue for National Cheese Lover’s Day. What can I say? Their fondue is really good! And I’m thinking Tara and I need to break down and buy our own fondue set already. Hey…maybe we’ll get one as a wedding gift! We went to The Grizzly over the Christmas Holiday’s which is a very wonderful fondue restaurant in the Heart of Banff. It was two hours of delicious heaven and beer! Sounds like a terrific meal and a great time! The year AFTER I did this, about 11 or so restaurants and companies that I went to for food were advertising meals and foods telling customers to come out and buy for National….whatever day. When I went the year earlier I mentioned the holidays to them and they claimed to not know!!! Interesting. I’ve told a bunch of people this year already…it’ll be interesting to see if Gustav’s advertises National Cheese Fondue Day next April 11. They did thank me on their Facebook page, at least. They have a place called “The Melting Pot” up here and if they weren’t so spendy, we would probably go. All they do is fondue. We’ve got The Melting Pot down here, too – and it’s every bit as expensive. Which is why I have gone exactly once, when I first moved up here, nearly 20 years ago. Ahh…that’s good to know. May have to take advantage next year!